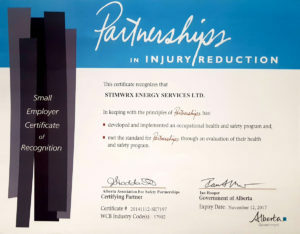 STIMWRX Energy Services is committed to protecting and enhancing the safety and well-being of employees, clients, contractors, visitors and the surrounding community and environment. We follow approved policies, practices and procedures that meet or exceed corresponding occupational legislation. For further information or specific HSE questions please contact inquiries@stimwrx.com. 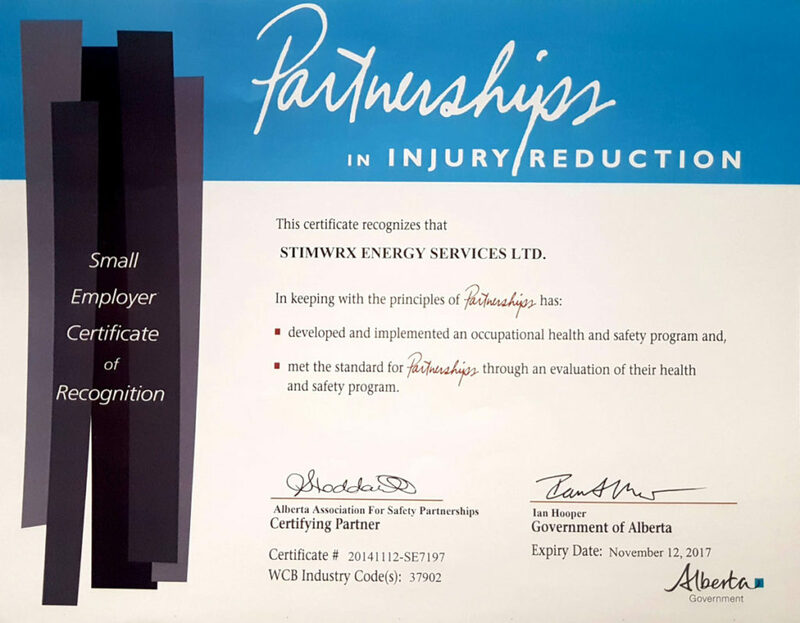 The Management / Directors of STIMWRX Energy Services are committed to a proactive health and safety program aimed at protecting our staff, our property, the general public and the environment from injury or loss. Employees at every level are responsible and accountable for the company’s health and safety performance. Active participation by everyone, every day, is necessary for the safety excellence this company expects. 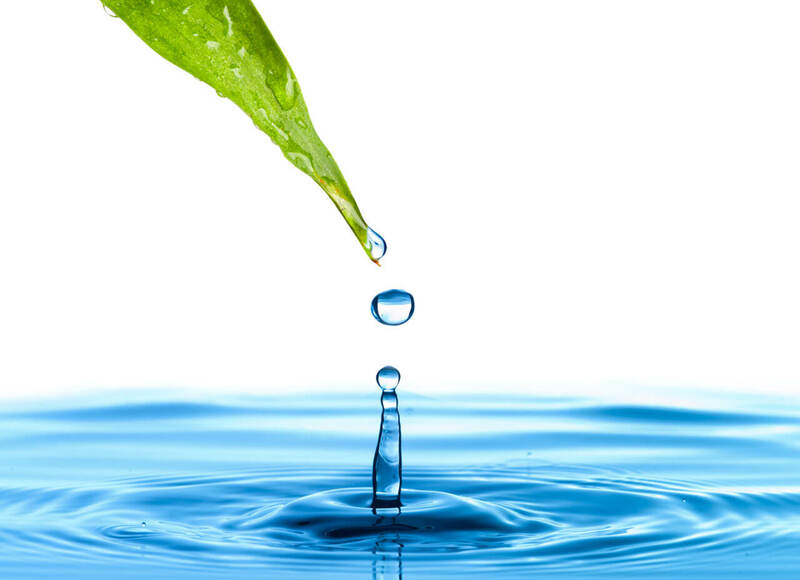 Management will set an example and provide leadership in the health and safety program. Management will provide training and equipment appropriate for the tasks. Management is responsible to monitor and enforce the company policies as described in the health and safety program and disciplinary policy. Workers at every level are to be familiar with the requirements of Alberta Human Resources and Employment occupational health and safety legislation as it relates to their work process. Workers are responsible for following all procedures, with an awareness of health and safety, and cooperating in achieving improved health and safety conditions. STIMWRX Energy Services is always looking for great talent and experience. We are a growing company with challenging opportunities for those that want to grow with us. For more information on available positions, please contact us at inquiries@stimwrx.com. Please feel free to reach out to us for more information and we'll get back to you directly. Copyright © 2018 STIMWRX Energy Services Ltd.